June Is Never Too Soon for Disaster Preparedness - Richell USA Inc.
As we look forward to summer fun in the sun with our best furry friends, the weather can be a help or a very big hindrance. Summer allows us a little more personal freedom to share with our pets, but when the weather becomes the news, humans and pets alike need to pay attention. If you can’t evacuate with your pets, you’ll need to have a place to take them. As a first responder for pets during Hurricane Katrina, I helped rescue and care for homeless dogs and cats from the ravaged Gulf coast. In most cases, pet owners did not have a proactive plan and left animals at home. As flood waters rose, thousands of pets perished. The fortunate were plucked from rooftops and rubble. The great majority of the dogs and cats had no identification tags and fewer had microchips, so owners could not be found. Do some homework ahead of time to determine appropriate options like dependable boarding kennels, and call hotels outside your immediate area to see if they will accept pets in an emergency. 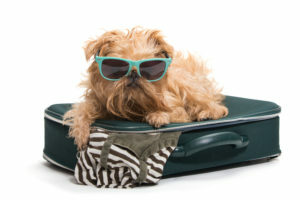 Contact your veterinarian and ask about boarding options. Your local county animal shelter will have a guide as well. The stress of evacuating is significant, but knowing your pets are safe will help you cope. Most of us have a little more leisure time now and want to spend it with our dogs. Nature hikes in the country and jazz festivals in city parks are good choices but know your dog. Too much fun in the sun can be hard on dogs, and they will strive to keep up with you even at great cost to their own health. The signs of heat exhaustion are fast panting, red or dark lips and tongue, thickened saliva, rapid heart rate, reluctance to walk, and disorientation. If you suspect your dog is overheated, you’ll need to bring his temperature down with cool water sponge bathing and seek veterinary advice. Avoid jogging or biking with your dog during midday hours and keep outings a bit shorter. Forest preserve hikes offer shade and soft footing. Remember flea and tick prevention, and bring along plenty of water for both of you. In the city, outdoor eateries and parks offer social opportunities. Your dog likes to people watch as much as you do, but be aware of fast-approaching children and dogs looking to smooch your pooch. If your dog is happy, his body language is relaxed with a wagging tail and normal posture. Watch for stiffness and staring, which could indicate stress or avoidance behavior like backing up and hiding behind you. Always be ready to redirect your dog with a quick “Come” command, turning him away from potential trouble and right back to you. Offer praise and a tasty treat for his quick response. Be a party animal at home this summer and improve your dog’s social skills at the same time. Plan a dog-friendly gathering with a few friends. Encourage pals to bring their compatible dogs, on a leash of course, and plan to have your dog greet their arrival outside. Dogs are territorial, so the outside meet and greet on neutral ground work best. Establish a few house rules and keep leashes on at first until you feel comfortable with the canine combinations. Make your place inviting for four-footed guests with a few freshly laundered bath mats or dog beds out on your deck for lounging. 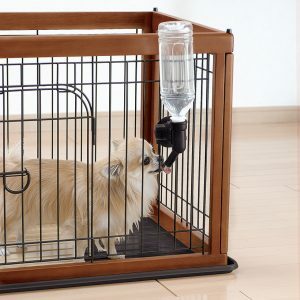 Attach a mister to your hose for a real spa atmosphere and watch the water dogs play. You can make some cool treats ahead of time by freezing a mixture of water and chicken broth in ice cube trays, or freeze ready-made dog smoothies available at pet boutiques. Separate the dogs when giving treats to minimize squabbling and keep the party atmosphere going. Inside, a couple of gated-off areas can help relax a canine guest that needs a break from the action. 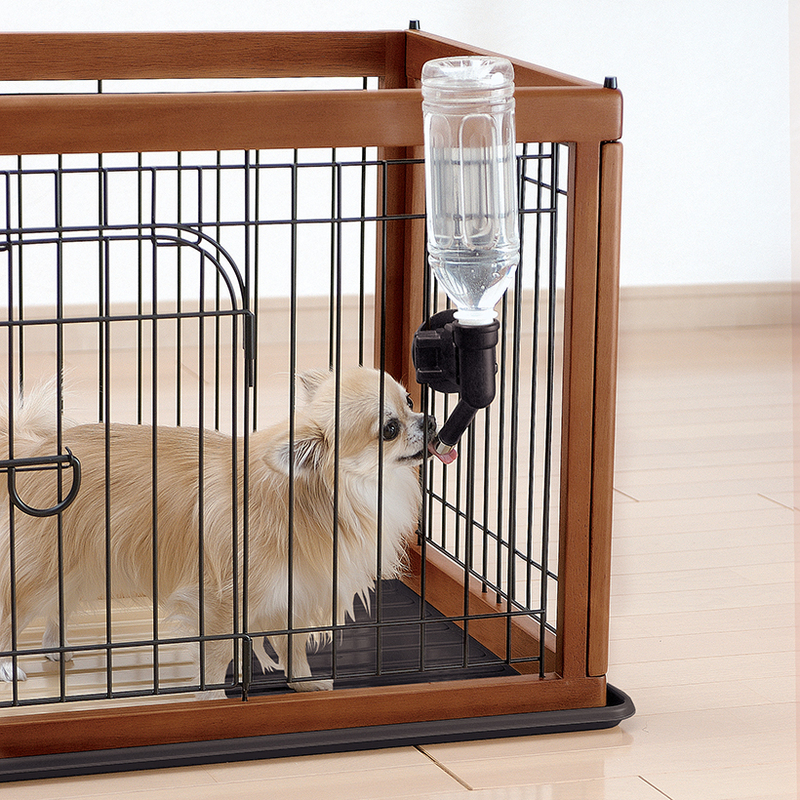 Instead of a cramped crate, a gate allows the dog to have a roomy, comfortable area without feeling exiled. Richell USA makes furniture quality, eco-friendly gates and room dividers that channel your inner designer. The Convertible Elite Pet Gate is the gold standard, functioning as a walk-through gate, pen, or room divider and expanding to fit wide openings. Outdoorsy dogs and their like-minded owners may enjoy overnight trips to state parks and camping sites close to home. Look for dog-friendly parks that offer plenty of walking trails and a variety of terrain. Keep your dog’s happy attitude and physical condition in mind. If he shows signs of tiring, take a good rest and chill out in the shade with some water. Embrace an upscale adventure by checking into dog-friendly hotels close to home. Pamper yourself and your pooch at one of a growing number of luxury hotels that welcome dogs with extras like toys, treats and even turn-down service in their own dog beds that match the décor of the room. The Loews luxury hotel chain has made welcoming dogs into an art form, with special food and water bowls, room service with healthy selections, and even a personal note from the manager recommending nearby dog-friendly cafes and parks. Our dogs love a good time as much as we do. Summer serves up dewy mornings for exercise and adventure, lazy afternoons for lounging, and cool evenings for neighborhood walking. You’ll find summer’s time well spent in the company of your dog.